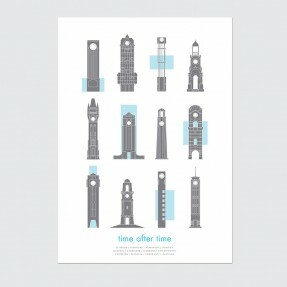 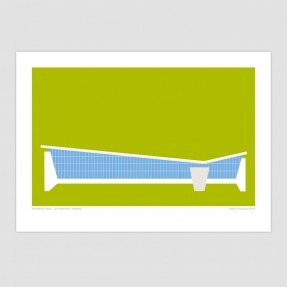 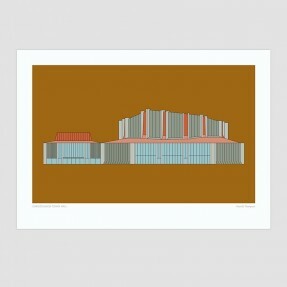 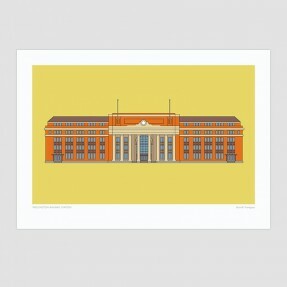 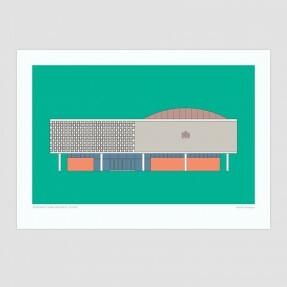 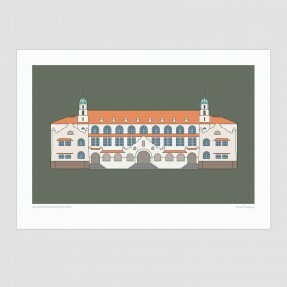 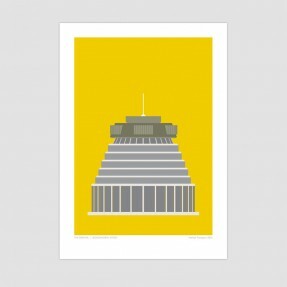 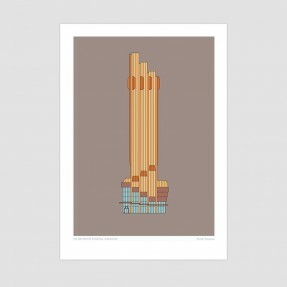 "Iconic New Zealand buildings immortalised with graphic flair." 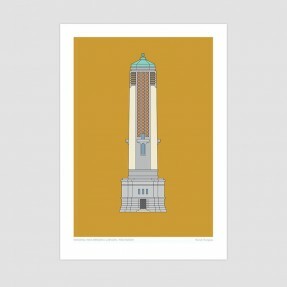 Hamish Thompson is a proud Cantabrian. 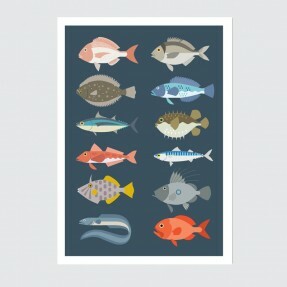 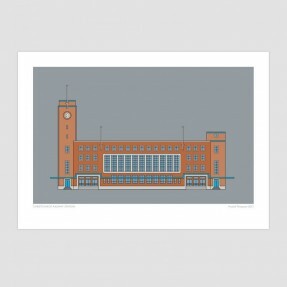 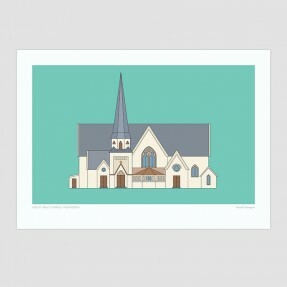 And he is a graphic artist specialising in architectural graphics. 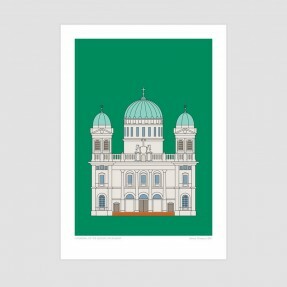 It was the devastating earthquakes that sparked a series of graphic artworks depicting iconic heritage buildings lost to the city. 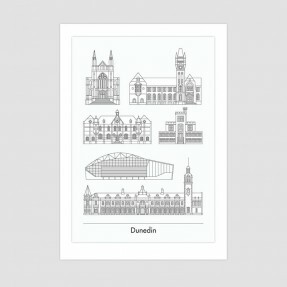 The Christchurch building series comprises 12 artworks depicting buildings ranging from the late 1800s theatres to mid-century gems like the Christchurch Railway Station. 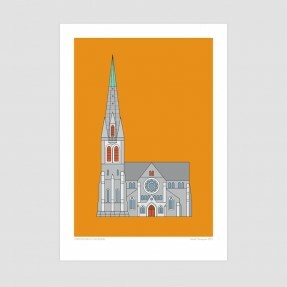 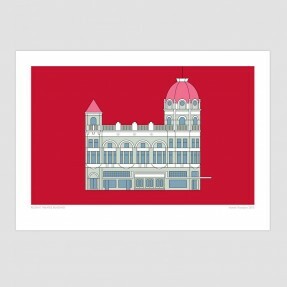 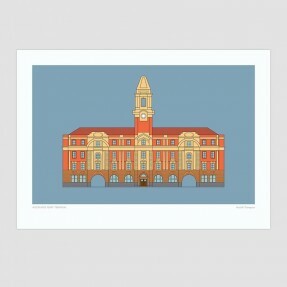 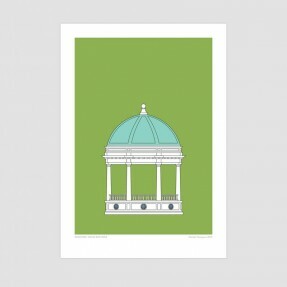 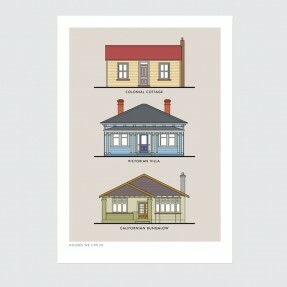 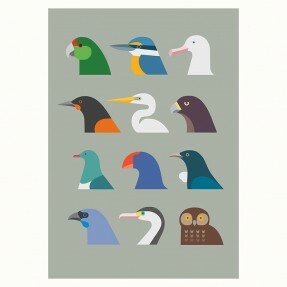 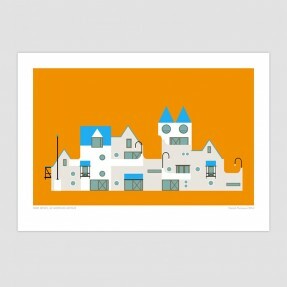 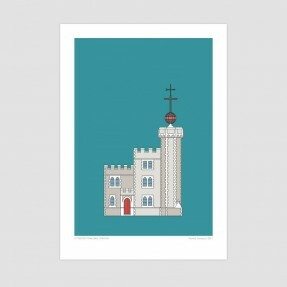 Hamish followed with a series on iconic Wellington buildings as well as works on modernist houses and churches. 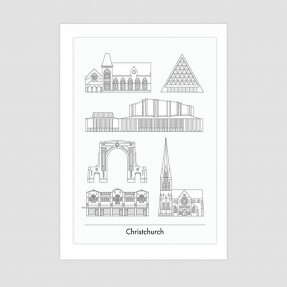 Christchurch born and bred, Hamish studied graphic design at University of Canterbury School of Fine Arts and went on to further his studies in Switzerland at the Basel School of Design. 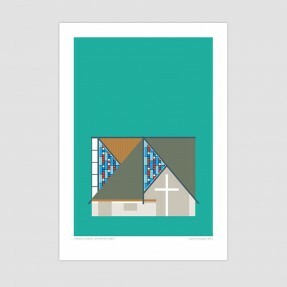 Thompson has taught graphic design in the States where he lived for a number of years and has worked for both the National Library and Te Papa as a graphic designer. 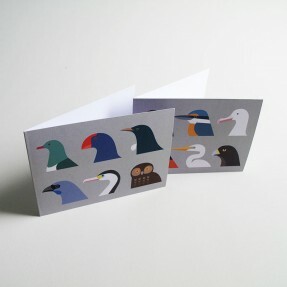 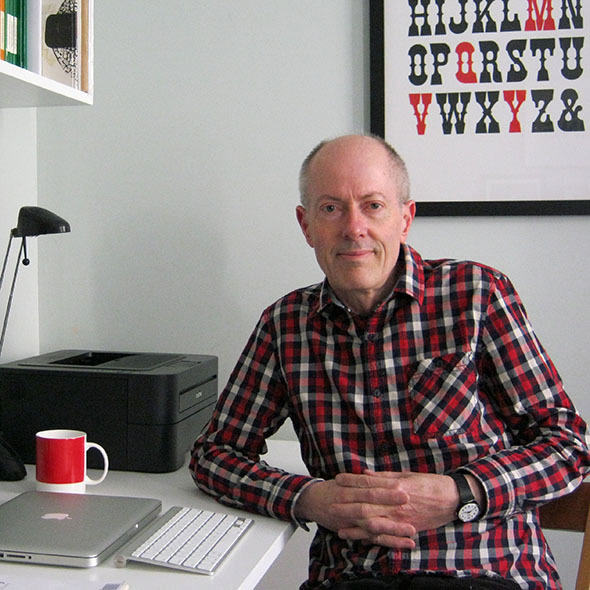 Freelancing for the past 12 years, Hamish has spent most of his time designing books, corporate identities, designing exhibition graphics and postage stamps. 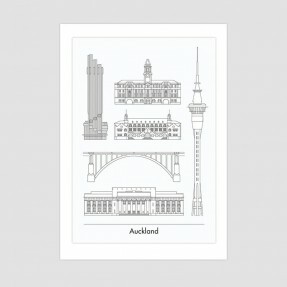 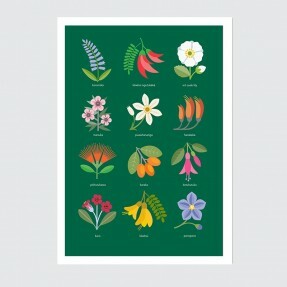 He has even penned two books on the art of graphic design; “Paste Up: A Century of New Zealand Poster Art” and “Cover Up: The Art of the Book Cover in New Zealand”. 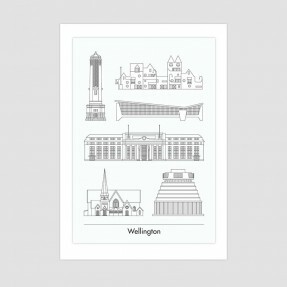 For the past three years Thompson has worked out of an office of Wellington architecture practice, CCM Architects, where he creates architecture graphics.